CLICK HERE to submit your ANONYMOUS QUESTION for our panel or either of our speakers! For over 35 years, Dean has practiced in the areas of labor relations and employment law, representing public and private sector employers in the many aspects of employment law and labor relations. 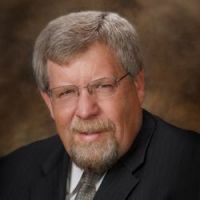 He has extensive experience representing employers in collective bargaining and proceedings before state and federal administrative agencies. Dean also represents municipalities and local government units in all aspects of municipal law and compliance with state statutes. Ray Woodruff manages several local and statewide initiatives aimed at reducing recidivism and improving the employment outcomes of individuals who are returning to the community from incarceration. He has worked with various special populations and provides technical assistance and training to counties, workforce agencies, and corrections professionals on offender management and program implementation. Previously, Woodruff spent 12 years providing program interventions and services to incarcerated adults and juveniles in facilities in Wisconsin and Ohio. He received his MS in criminal justice and forensic psychology from Tiffin University, and his BA in psychology from the University of Cincinnati.